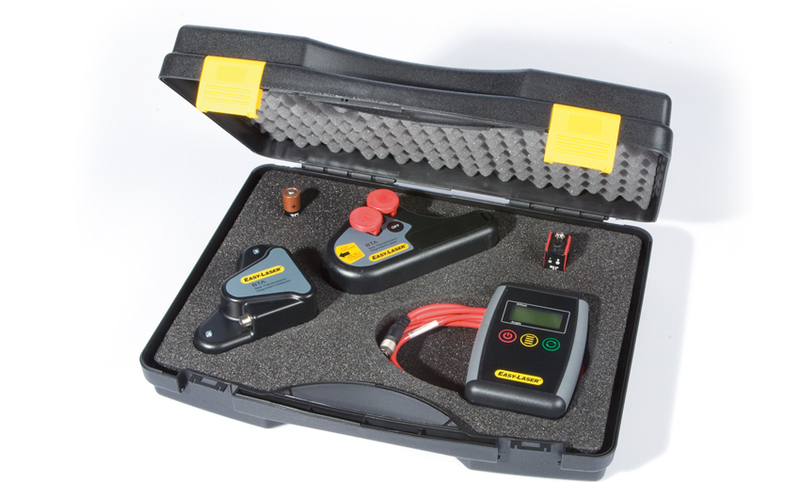 Easy-Laser® D160 has a separate detector unit and display unit. This means you can read and follow the alignment from where you are standing and making adjustments. The backlit display also makes it easier to read in poor light conditions. The detector reads off the position in relation to the laser plane and digitally displays the parallel and angular misalignment "live". This makes alignment of the adjustable machine extremely easy. The accuracy of the reading means that you can be within the prescribed alignment tolerances and rely upon the result. With this system there is no need to move the detector to read horizontal respectively vertical values, which saves time and makes things easier. Suitable for most types of drive, such as V-belt, timing belt, flat belt and chain drives. Easy-Laser® D160 detector unit can be connected to our standard display unit D279* which is included in shaft alignment systems D505 and D525 for example. The pulleys' mutual parallelism is shown graphically and digitally with adjustment and shim values for the machine's foot pair. This unit also allows you to save, print out and transfer the measurement results to a PC, in the same way as for normal shaft alignment. *Does not apply to system D450, which does not have the required software for sheave/pulley alignment. NB! Requires software version 1.06 or later for Display Unit D279.